The Jewish Federation of Sarasota-Manatee strives to build a strong community and better life for Jews at home, in Israel and throughout the world. Through Federation, you can engage with and support your community, and join a group of men and women who are passionate about their work, and compassionate to those in need. We are steeped in our traditions, and unrelenting in our pursuit of progress. We are proud of our culture, and welcoming of all people. We are committed to and supportive of our beautiful community. You have the power to ensure that the community will continue to grow and thrive for years to come! With your generous support, we are able to feed hungry Jewish families both locally and abroad. We send Jewish children to overnight camps where they enhance their connection to Judaism. Teenagers will bear witness to the atrocities of the Holocaust on the March of the Living mission and, typically for their first time, our Bob Malkin Young Ambassadors will experience the wonders of Israel. Our vision would not be complete without Jewish culture. The Federation provides successful events and programs for Jews of all ages that support our mission, as well as special presentation engagements. Our partnerships with community organizations provide Jewish cultural arts programming throughout the general community. We started small, and have helped Sarastoa-Manatee grow into one of Florida's most vibrant Jewish communities. Learn about how we started. We have a staff of very talented dedicated professionals. The key component to all successful organizations is its leadership. We are proud to have a board comprised of successful community leaders dedicated to our mission. Meet the organizations that help us create and maintain a vibrant Federation campus. 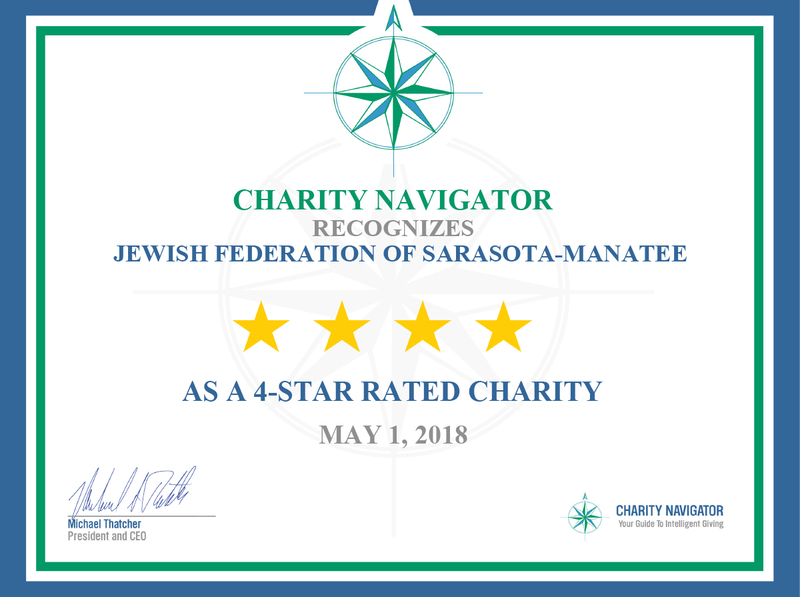 Support our mission with a donation to The Jewish Federation of Sarasota-Manatee. Click the tab above to donate.